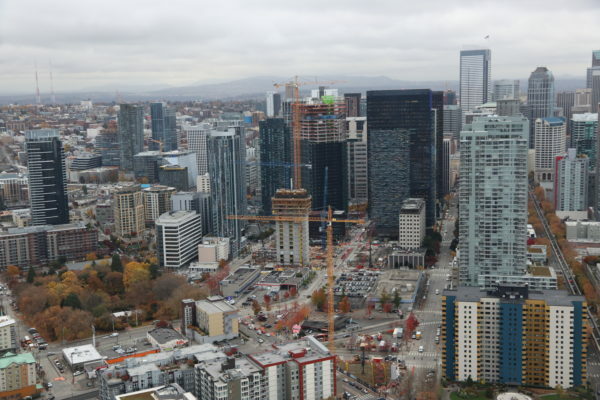 Seattle’s downtown is growing explosively–fueled mainly by Amazon’s meteoric expansion. If you missed it, it’s worth catching up on the brilliant Emily Badger’s Upshot column in the New York Times that appealingly focuses on cities scared of becoming Manhattanized, or San Franciscoed, or Seattleified. These cities create a great deal of wealth and tens of thousands of jobs that pay six figures. But they are all unaffordable, afflicted with homelessness, and strangled by traffic. Wealth needn’t come at so high a price. The cities and their high-paying companies are taking most of the blame. Their governments are too restrictive about building, it is said. The companies, especially explosively growing Amazon, are blamed for creating a lot of high-paying jobs. Whoa. Aren’t good jobs with good salaries a wonderful thing? Not in today’s topsy-turvy world of concentrating wealth and service-job wage stagnation. In booming cities with vibrant downtowns, too many high earners chase too few housing units, displacing those earning less. 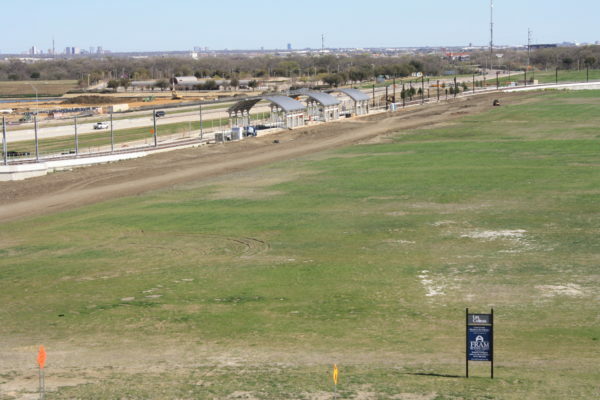 Suburbs and suburban cities have grown on ample Federal government support for highways and subsidies of single-family housing on greenfield sites. For decades, these vast income transfers made suburbs affordable. Now it is central cities and downtowns that are growing, but federal policies still favor suburbs. Cities with fewer buildings restrictions that lack the high-wealth growth of coastal tech hubs suffer many of the same problems. Young people are flocking to central Atlanta, and gentrification is displacing lower-income residents who already commute dozens of miles to jobs spread around the city’s endless suburbs. Might some bigger-picture trends be at work here? Atlanta’s near non-existent transit results in impossible traffic, high costs to drive to jobs, and explosive appreciation (and resulting displacement) in its very small supply of close-in, walkable neighborhoods. 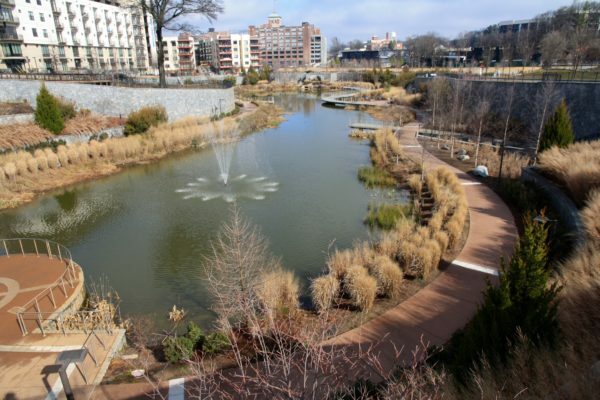 The Atlanta Beltline (Historic Fourth Ward Park shown) has become a magnet for growth and gentrification. Seattle is wealthy enough to take action and is actually attempting to reduce auto use even as its population grows. Voters have approved an astounding $90 billion in investments to get people out of cars. In an interview, a Seattle Times reporter estimated that transit taxes cost the average family $1,000 annually, which doesn’t help affordability. The Federal share? Nine percent. Remember, the Federal government paid 95 percent of the cost of Interstate Highway construction for decades, and general revenues cover the increasing shortfall in gas-tax revenues—a growing subsidy. 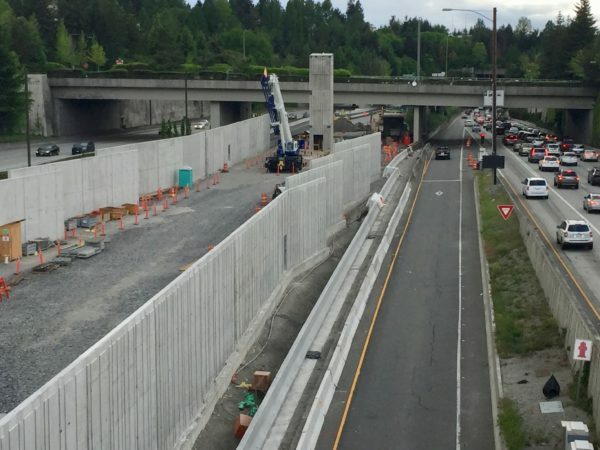 Local taxpayers largely underwrite the light rail line under construction in the median of I-90 near Seattle (a freeway built with 95% Federal funding). Then there is housing. Pundits have long complained that local regulations, especially in the thriving coastal cities, have restricted housing supply, pushing costs to unaffordable levels. Density limits are an element in reducing new supply, especially in highly restrictive San Francisco, but both New York and Seattle have rezoned for greater density, unleashing a flood of new development. All of it has been aimed at the luxury market, though, which continues to be subsidized by tax abatements in New York. Prices have dipped—slightly. 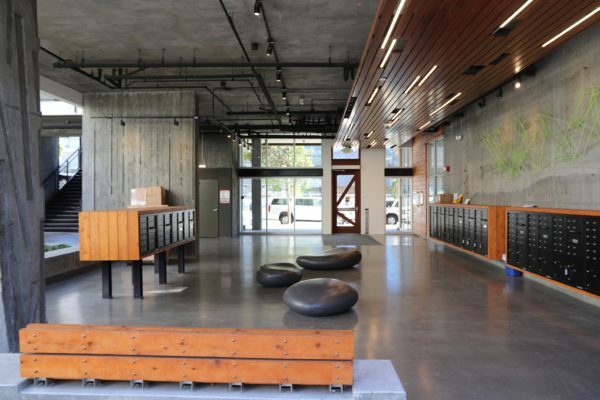 Lobby of neighborhood-pleasing affordable housing in San Francisco, David Baker, Architect. Several cities now require developers to include “affordable” units in projects, aided by generous zoning allowances and tax benefits. Such programs rarely serve the lowest income tiers and can only work in communities with high housing costs to begin with. Such “inclusionary” housing is at best a band-aid and too often results in large ungainly developments that raise neighbors’ ire and resistance—which results in fewer units built more slowly. In cities growing in both wealth and population there is no market incentive to create housing that serves the sub-luxury market, even though that market is huge. Congress cannot even manage to address policy failures that make market-rate condos more expensive to finance than single-family housing, which could help serve urban middle-income demand. Instead, condos remain at a market disadvantage even though demand is high. The Federal government does next to nothing for the bottom half of the market anywhere. So-called “affordable” housing projects can access federal subsidies to serve middle- and low-income households, but the development process is scandalously complex and limited, resulting in very few units being produced. Congress is so penurious toward people who need housing that only one-fourth of the millions who qualify for low-income housing subsidies get them—a problem that dates back decades. 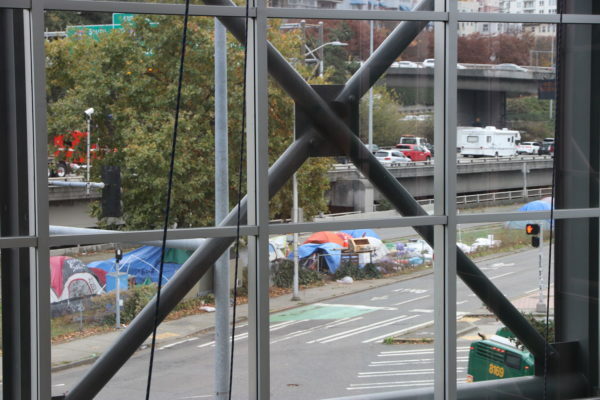 Say hello to large-scale homelessness! States and cities are stepping up to the plate—even private companies, with Microsoft promising $500 million to address Seattle’s housing problem. Only the absent Federal government commands the resources to solve these problems, which Badger called out in a later column. 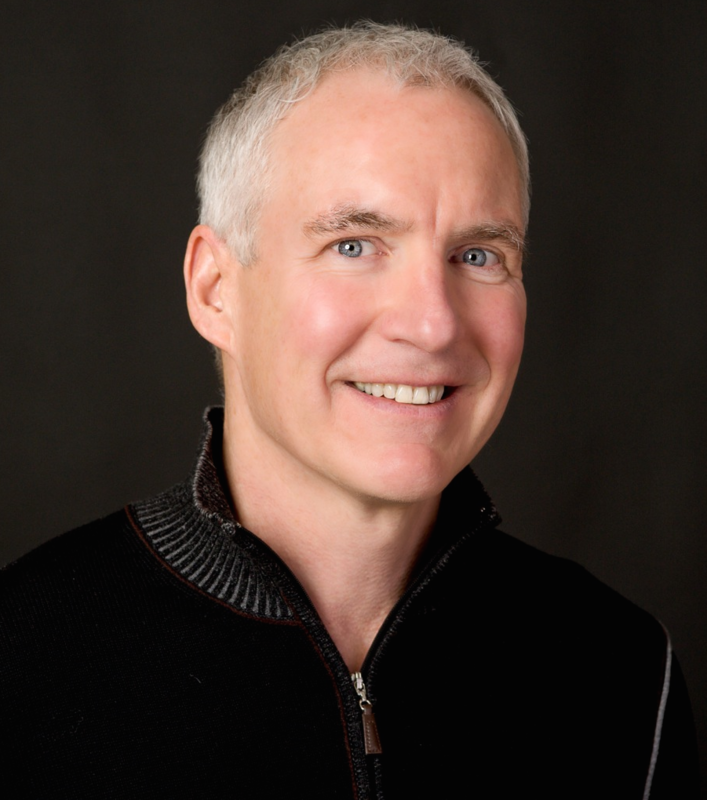 The transportation and housing failures are intertwined. As better-off people bid up housing close to job-rich downtowns, lower-income earners are forced farther away, clogging more highways longer. People earning low wages who must support a vehicle to commute 10 to 30 miles to work can’t make ends meet. Transit investments at a large enough scale to make a difference are out of reach of even wealthy metro areas. Yet there’s almost no federal investment in transit or other auto alternatives. Underfunded and under-engineered, light rail rarely meets ridership expectations (here Dallas). 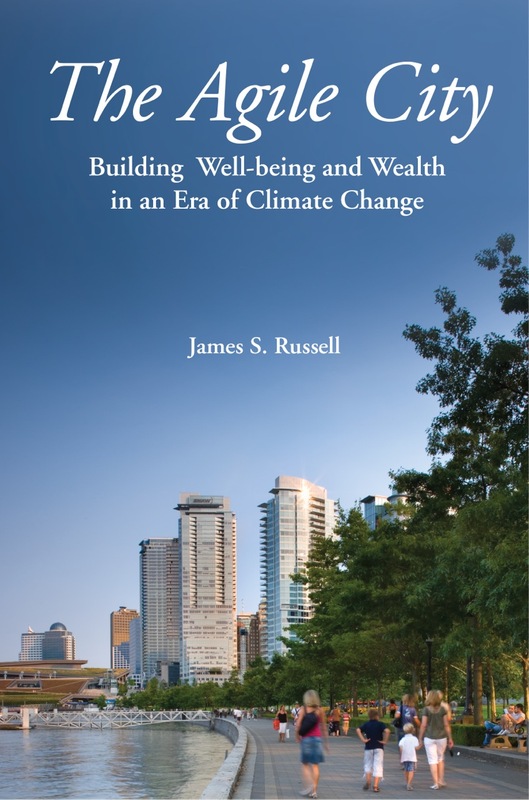 It should not be bad for cities to be wealthy. Indeed, too many still struggle against endemic poverty and joblessness. Congress—stunned into inaction by the macabre antics in the White House—can take the lead at last. And we should expect it to.